Welcome to the Catalyst Center! The Catalyst Center for the Advancement of Research in Teaching and Learning Math and Science brings together science and math education experts from the College of Natural Sciences and Mathematics and College of Education. Below is information on recent news, featured Catalyst member projects, and upcoming events of interest to Catalyst members and the broader campus community. If you are interested in learning more about Catalyst, please contact us at catalyst@fullerton.edu. 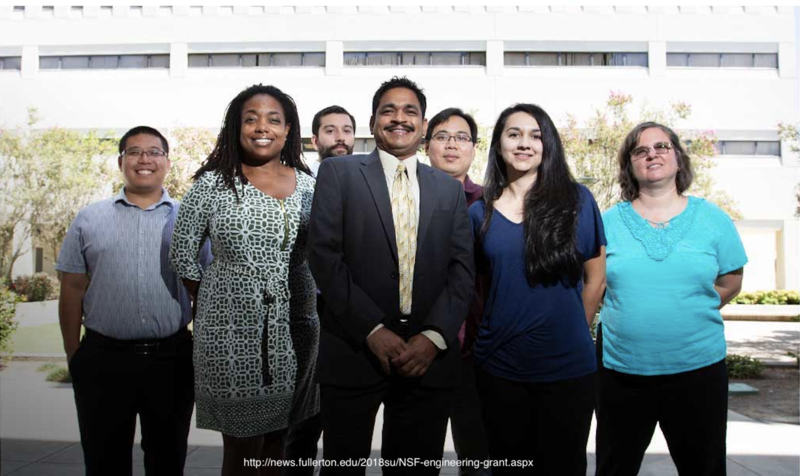 August 2018: Dr. Antoinette Linton, associate director of the Catalyst Center, serves as a co-PI on a 1.5 million dollar NSF HSI STEM proposal to increase the retention and graduation rates of primarily Hispanic and other underrepresented students majoring in engineering and computer science. February 2019: Dr. Sachel Villafane-Garcia is an Assistant Professor in the Department of Chemistry and Biochemistry. Her lab is currently engaged in a research study to better understand how students’ experiences in chemistry courses shape students’ chemistry self-efficacy (CSE), and how CSE relates to performance and retention. This site is maintained by Catalyst Center.